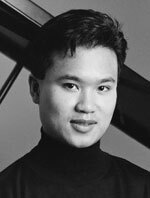 In his opening remarks, pianist David Louie reminded the audience as to how Brahms’ final trio for piano, violin and cello is more economical both in terms of performance length and thematic content than his other chamber music. Op. 101 even earned the begrudging admiration of Wagner whose greatest works are built on enormous proportions of time and thematic germs or motifs that blossom magnificently through continuous transformation. Yet, given comparable readings from our finest musicians, it could be argued that there is as much music in 22 minutes of Hamburg’s most musical son than four hours plus music-dramas created by Leipzig’s titan of opera. Those fortunate enough to be in the pews of St. Barnabas Anglican Church for the Gallery Players of Niagara’s season opener were treated to a marvellous personal rendering of the compact, richly crafted score. The opening movement, once the early measures settled, was notable for an autumnal second subject that soared up to the beautifully turned woodwork and into everyone’s heart. (Note to all concerned: Let the big triplets expand to the bursting point—the duples will smile in the contrast.) The muted mystery of the “Presto non assai,” and its ghostly conversation between cellist Margaret Gay and violinist Julie Baumgartel (deftly complementing Louie’s tone-and-touch abilities with fleshy pizzicati when the melodic lead shifted to the keyboard) was as discreet as it was intense. Louie’s phrasing and the warm, delicate shadings drawn from his colleagues’ bows lifted the “Andante grazioso“ to the special realm of unforgettable—too often missed in today’s seemingly epidemic of “good-enough” music-making. The largely passionate, coy-by-turn concluding movement was generally impressive (the leisurely closing subject handled with a compelling feeling of introspection that furthered the challenging emotional balance) and could only be improved by riding the dramatic moments of syncopation rather than pulsating through the epitome of rhythmic tension. After such a demanding, draining piece both Dvořák and the performers had their work cut out for them to rekindle the magical flame of Brahms. Perhaps reordering the printed program at the last minute might have been unwise—first impressions are usually right. With more than a few “borrowings” from himself (most especially Symphony No. 8 in G Major) it was clear from the first measures that, despite the small forces, this trio was born into its composer’s mind with orchestral scope and large ideas. Once again the slowest movement provided the greatest, most consistent pleasures. 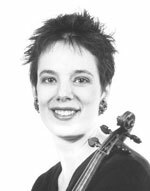 Gay produced line after glorious line of dark, tawny colour that made one hungry for the cello concerto (er, hello there Niagara Symphony); Baumgartel more than followed suit soaring into the highest reaches with confident authority that earlier eluded the best intentions of her left hand. Louie pushed and pulled as required, taming his clunky-pedal instrument (a constant challenge for any pianist on the road) with customary skill. By journey’s end, the inner joy of shared experience in the hall was palpable.